LUMPENPROLETARIAT—Ruchira Sen rules. Despite having an exam and a deadline, and a busy day tomorrow (i.e., 15 MAY 2015), in preparation for going out of state, Ruchira has been gracious enough to, not only, grant Lumpenproletariat.org an interview, but a wonderful late lunch, as well, at Sahara, a cool restaurant across the street from UMKC, for some wonderful Mediterranean food. 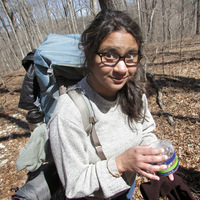 “I like your blog,” said Ruchira. Thanks, I said (totally spazzing out and trying to keep my cool around one of my intellectual sheroes). I just hope, I said, to comprehend and metabolise your analysis adequately enough to be able to share your ideas and where I disagree/agree with your ideas with our circle of friends (and enemies). MESSINA: “So, I really appreciate this. And then you’re getting ready to take off tomorrow. So, I got a chance to read the paper, that you presented at the IDC, the Interdisciplinary Conference, Towards a Theory of Imperialism. And I also got to read “The Marxian Social Theory and Capitalist Crisis“. I was really happy to at least read a little bit. SEN: “Well, my early years are not very exciting. I was in India. I grew up in a classic upper-middle class family. It wasn’t always upper-middle class. My father worked with the Oil and Natural Gas Corporation because, back then, the public sector in India was what was considered a gem of the—you know—burgeoning, developing economy. And, at that time, there was an idea that the industrialisation in India would happen through the public sector. We had the second Five Year Plan with the Mahalanobis model. And it mostly talked about the rise of the industrial sector. And how public investment would happen in dams, infrastructure, in oil and natural gas, and steel. SEN: “So, they had one of the best—it’s called the Harvard of India, the Ivy League of India. So, one of the best colleges, St. Stephens. And it’s supposed to be a great privilege to be there. And I, somehow, found myself there. “And, after, once I was there, I started getting disillusioned because it didn’t make sense anymore. It was all about: Oh, you are in the hallowed halls of Stephania. You should be able to do this. And you should be able to do that. I couldn’t understand what the whole deal is and why that doesn’t make me different from anyone else. Why do I have to, you know, put in this added effort of maintaining a certain position in the elite class in society? SEN: “But, in India, it’s so cool. And McDonald’s, where everybody eats here, in India, that’s where people go on dates. “Like I said I was really stoked about the IDC presentation because you were talking about imperialism. So, I’m just gonna kind of jump around. […] We had to write a paper. And I’m like well, what should I write about? Well, the first thing that comes to my mind is imperialism. “And I thought the same thing. Like, what happened to imperialism. Nobody talks about imperialism anymore. I guess imperialism’s over. I had vaguely heard about Immanuel Wallerstein and his world-systems approach, and a center-periphery stuff I’d heard about. MESSINA: “Is that, kind of, like, a fair assessment of Veblen? SEN: “Yeah. And they don’t see that capital–I mean, they think that they are building and creating something new by talking about goodwill and intangible assets. And my relationship with you is, certainly, capital. And a lot of our colleagues also, you know, do this in the Institutionalist approach, like Jonathan Ramse’s paper on capital, the seven capitals, where he’s trying to marry the sociological and economic definitions of capital. “it is frequently confused or confusing what it is we’re talking about. Are we talkin’ about plant and equipment? The industrial arts? What Veblen, would later call, Industrial Capital. Or are we talking about money? The pecuniary arts? What Veblen would later call the pecuniary capital? So, Dr. Sturgeon recommended Veblen’s “wonderful, two-part article”, entitled “On the Nature of Capital” (1908, Quarterly Journal of Economics). I was impressed to hear of this article by Veblen because I always thought he was greatly influenced by Marx. I thought this would be where Marx would be cited and further vindicated. But, instead, Dr. Sturgeon, rather than point out Marxian influence in Veblen’s definition of capital, said Veblen built on Veblen’s prior work, Theory of the Business Enterprise. “Veblen would have us completely abandon the old notions of capital.” Yes, but, perhaps, Veblen would only do so after working through the literature, including Marx. “So, it’s not the extraction of surplus value?” I queried. “Hm?” I thought, right flummoxed. 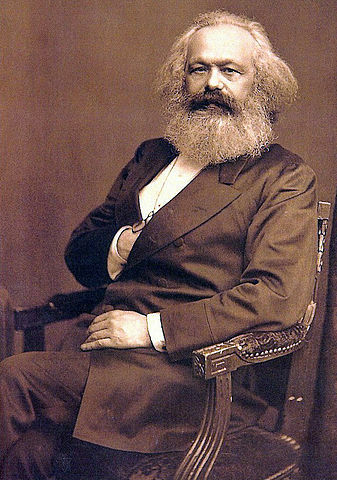 “I was always struck that as I went through these schools, studying history, politics, economics, sociology—the things that intrigued me—I was never required to read one word of Karl Marx. And I remember telling that to my father, who looked in stunned disbelief at the very possibility that an educated person going to such august universities would not be required to at least read people who are critical of the society, simply as a notion of proper education. So with a father like that, it wasn’t so surprising that I went and found ways that individuals who were on the faculty sometime could, out of the classroom, teach me, take me through the great classics of critical literature, whether it was Marx and Engels themselves or Antonio Gramsci or George Lukács or all of the other—Rosa Luxemburg, the great thinkers of the critical perspective. So, I got excited about learning that on my own. Dr. Sturgeon stressed taxonomy: What is capital? He also emphasised the importance of definitions needing to be evolutionary, otherwise, eventually, as society evolves, the definitions will no longer square with reality.